 Looking for an independent agent for car insurance Fort Wayne? We’ve got you covered! GA MacDonald Associates has been serving the insurance needs of Northeast Indiana since 1985. Our family provides the insurance protection you need when you need it most. We have the solutions to your difficult insurance problems… if it’s “Insurance,” we can help. The MacDonald family knows Fort Wayne. We were born and raised here. We went to school here. We raised our children and built our business here. But we’re blessed with success because of YOU. Thank you for allowing us to serve you and your families for so long. Our experienced staff members have a combined total of over 100 years experience in this business. We know insurance. We can provide you with tailored solutions for your auto, home, and business insurance requirements and personalize each insurance product to your specific individual needs while providing competitive rates for our valued clients. The G A MacDonald Associates team is committed to providing clients with the highest quality insurance plans available combined with some of the lowest rates available in all of Indiana. When you have a chance, check out our staff bios. 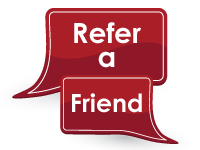 Dave MacDonald, Marsha MacDonald, Tina Meredith, and Leticia Martinez are ready to assist you. We’re very proud of the work we do. We love serving you and our neighbors in Allen County. In today’s crazy world, we treat you like we’d like to be treated. We believe every person deserves to be treated with dignity and respect. Whether you’re the CEO of a Fort Wayne business, postal worker or delivery person, a homeless man or woman living on the street, a client with us for one day or twenty years, we strive to show you the dignity and respect you deserve. Looking for car insurance in Fort Wayne? Whether you’re shopping for an affordable car insurance quote, homeowners insurance, health, life or business insurance, we can help get you the best coverage available with the lowest rate possible. Need to get your license reinstated with a named operator policy, SR22 or SR50 filing? We can help with that too. Get your filings with us before you head over to the Waynedale, Pine Valley, or New Haven BMV branches. We electronically file these with the Indiana BMV and give you a copy to show it was successfully received by them. You’ll leave our office with exactly the appropriate proof of insurance you need to get your license reinstated. Need an express car insurance quote right away? We’ve got you covered. We can quote, bind and issue car insurance policies right over the phone in less than 30 minutes! 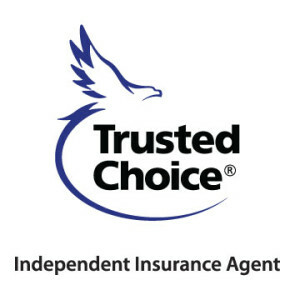 We’re a Trusted Choice agent. What’s that mean to you? It means we’re committed to treating you as a person, not a policy. We work with you to identify the insurance that’s right for you and your family or business. We guide you through the claims process for a prompt and fair resolution of your claim. We help you solve problems related to your coverage or account. We explain the coverages and options available to you through our agency. We return your phone calls and e-mails promptly and respond to your requests in a timely manner. We work with top-notch insurance companies like Progressive, Indiana Farmers Mutual, Pekin Insurance Company, Celina Insurance Group, Hagerty, CNA Western Surety, and many more. Like most independent insurance agents, we offer the traditional lines of insurance: auto, homeowners, life, contractors, and business. But, we’re particularly proud of the specialty markets we serve offering products and services not available with most agents. Have a child or relative with special needs? Even if they have been turned down or rated for autism, down syndrome, cerebral palsy, juvenile diabetes, multiple sclerosis, obesity, HIV/AIDS, we have the solution. Hey contractors – Need an insurance certificate? We’ve got you covered! We know you can’t start work without them so we issue certificates the same day. Better still, we won’t charge you like some agencies (can you believe it?) for a copy. Need a bid and performance bond for an upcoming project? We’ve got your back. Rates are great and the applications are short. Want to become a notary public in Indiana but don’t know where to start? No problem. Just give us a call. We’ll have you up and running for $50 bucks. We know insurance lingo can be confusing. We try to avoid “insurance-speak” wherever we can. Need to learn what an adjuster means by Actual Cash Value vs. Replacement Cost? Can’t tell the difference between a binder and an insurance certificate? Check out our glossary of common insurance terms. Although our primary area of service is located in Fort Wayne, Indiana, we offer unparalleled service and competitive quotes to clients in New Haven, Auburn, Roanoke, Churubusco, Decatur, Columbia City, Warsaw and the entire State of Indiana! We’re also licensed in Ohio and Michigan, too. And when the unfortunate happens and you need to file a claim, you’ll find us just as helpful. Call us directly or use our companies’ 24/7/365 reporting services. Need a certificate of compliance for a ticket or accident? We file those the same day. Don’t lose your license because an agent didn’t remember to tell the BMV you were insured at the time of the incident. We have great working relationships with several top-notch fire and water restoration companies in Fort Wayne who will ensure your property looks just as great as it was before the loss. How can you find us? Our office is conveniently located across from the VA Hospital and directly next door to Lakeside Middle School. Look for 2200 in gray numbers on the side of our building. 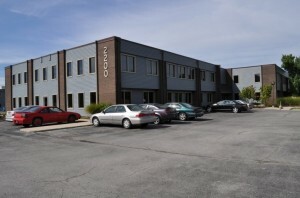 We’re in the first two story office building and located on the first floor in Suite 120. Enter our parking lot from Kerrway Court. We’re easily accessible from any of the three exterior doors. No ramps, no steps. Are you ready to let us earn your business? Give us a call today! Thank you for taking the time to visit our site! We know you have many online sites from which to choose and sincerely appreciate your visit.